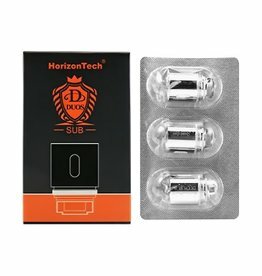 From the creators of the original Arctic Sub-Ohm Tank, the Horizon Tech DUOS Sub Tank is a powerful tank designed to compete with any high wattage tank on the market. The Horizon DUOS Sub Tank features a beautiful, unique frosted glass with a clean stainless steel construction. The DUOS Sub may be conveniently refilled using the lock/unlock system which helps minimize leaks. The DUOS Sub Tank has triple airflow slots that may be adjusted down to your personal preferences. 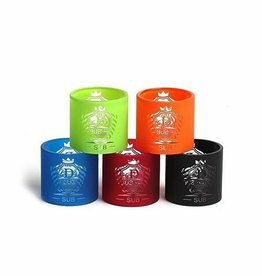 The DUOS Sub Tank utilizes atomizer heads which are designed for great flavor and vapor production such as the Tiger and Quad coil. The DUOS Sub is also compatible with the powerful Smok TFV8 atomizer heads as well.